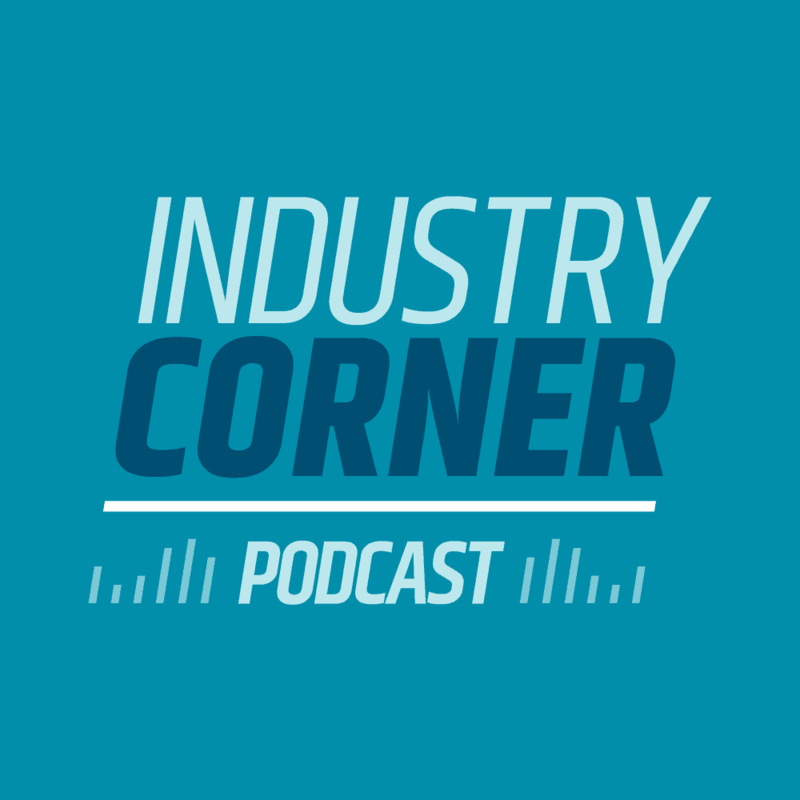 Anita: And I'm, Anita Pursley, Welcome to Industry Corner, a podcast where we will be talking about industry topics and breaking them down into easy to understand terms. Chris: On this podcast we talk about the postal customer council week, an update on the Board of Governors and a preview of the promotions for 2019, the Consumer Price Index for 2019 and the impact on pricing for postage and some recommendations from the Office of the Inspector General on curbing fraudulent change of addresses. So let's get into it. Chris: Hi Anita, welcome to the podcast. Anita: Good morning. Thank you Chris. How are you? Chris: I'm doing well, thank you. Walking on sunshine. Excited about the upcoming events happening next week. Anita: Oh yeah, it's an exciting time. Hey, it's PCC Week, Postal Customer Council Week as we're recording this and there's a lot of activities going on. So I just wanted to share with you the event that I went to… The Greater Atlanta Postal Customer Council. I've been on the board for a long time and it's a really great organization. We had, I think 88 people and I know that doesn't sound like a lot for a city the size of Atlanta, but we were really pleased with the attendance. We're just so sprawled out that it's hard to get a lot of people. But anyway, I wanted to give a shout out to Matt Purdue from Pitney Bowes presort services. He won our mail award. It's the mail award for industry excellence, I chair that nominating committee, so we're real thrilled for him and he's our industry co-chair. Chris: Oh, nice. Well that's great. Congratulations to Matt. Anita: You Bet. And BCC Software was a sponsor and we were also a vendor, so just thrilled with the event and I actually took some pictures. I'll have to share with you all. That's great. But anyway, weren't you supposed to be in Charlotte for the keynote? Anita: I wanted to also mention that Mark Fallon was our keynote from the Berkshire Company and he did a great presentation on the power of networking. Chris: Excellent. Okay, good. Good. Yeah, Mark's, Mark's a great speaker and I believe he's also going to be doing a keynote in Charlotte once we get that rescheduled as well. But talking about being informed, I understand that there's been some changes going on with the Board of Governors. So what's happening with that? Anita? Anita: Yes. I'm on the last podcast. I mentioned that the board was going to be meeting on September 13th and of course that did take place. Technically, it is not the Board of Governors yet. They're still functioning as a temporary emergency committee. I think you'll remember back in 2014 I believe is when they established this committee because they don't have a quorum yet, so they only have two governors and the PMG and the deputy, so it is still a temporary emergency committee, but in the open session prior to the closed meeting, they announced that Robert Duncan had been elected chairman of the board and then David Williams was elected vice chairman, but on the other hand, since it's still a temporary emergency committee, Williams was appointed chairman of the TEC or the temporary and Duncan would be the vice chairman. And, and at first I thought it was a little bit odd, but it makes sense because Dave Williams has much more experience with the postal service and, and he can start it off right with the temporary committee. Chris: That makes sense. That makes sense. Okay. Now I understand and I was a little confused as well as you know, why are they doing the shuffle here? But it makes sense. She aware of the situation really kind of, I wouldn't say crisis, maybe that's hyperbole but we certainly need to have some guidance from the Board of Governors relative to pricing and promotions as we come into next year. So Duncan and Williams are the two Board of Governors. Are there other ones that are kind of waiting in the wings? Anita: There are two, I believe it's two, maybe three nominees that President Trump had put forth, but there's no hearing scheduled and you know, quite frankly we have midterms and then possible lame ducks. So I'm, I'm really not very optimistic that we'll have new governors to make a quorum but we'll have to just keep an eye on. Chris: But we have enough right now to be able to start moving forward getting the business of the postal service underway so that we on the industry side have some guidance and I think top of mind relative to that is pricing in 2019. So we should have enough governors under the temporary emergency committee to be able to put together a pricing adjustment, but that's all based on the consumer price index. What's the latest on the CPI, Anita? Anita: The August number was 2.419. So we fully expect, in fact, I think the board probably already voted on this, but we expect the postal service to submit a rate filing to the postal regulatory commission mid October and that will satisfy the requirement that they have to give the postal regulatory commission, I think it's 45 days, but the postal service has stuck to a 90 day schedule to give the industry more time to prepare. So that's what we're looking at. We also expect it to be a pretty plain vanilla case and we, I don't think they want to present something very complicated to the board. So I think, you know, it won't be exactly across the board as you know, most rate cases have some fluctuations within rates cells. But I would be real surprised if there's anything real surprising. We probably will see a little decrease in the SCF discount for marketing mail letters, which of course everybody's up in arms about and hopefully that won't be a large amount, but we'll be watching for that. Chris: And to be clear, Anita, that decrease is really just trying to get it back on track. It's my understanding that right now, the postal service is passing through more than 100 percent of the attributable costs relative to cost avoidance from, from destination entry on that. So it's really just kind of trying to get it back to comport with the law. Right? Chris: So it's a course correction really on the price correction. Anita: Exactly. Right. And so we also expect them to propose a full slate of promotions. As you know, I've been participating in user group eight and in 2017 they were all ready to go with a whole slate of promotions for 2018 and of course couldn't do anything without governors but we're expecting a very similar slate. Emerging in advanced technology, personalized color Transpromo for first class of course the mobile shopping, tactile sensory and an interactive promotion and then informed delivery. That will be another one. So those, you know, are already kind of vetted with the industry. In fact, back in April we were given draft requirements, so if anybody wants to look at, you know, of course we have to hear what actually takes place, but I think we can start planning for 2019 based on those draft requirements. Chris: Okay. Alright. Well that sounds like some exciting promotions and they certainly leverage the value of the foundation that mail provides, which is important because I know that in prior podcasts and and certainly in some of the publications that are available for our customers, look at combining a foundation of physical mail with a digital complimentary messaging can do some pretty exciting things and one class of mail in particular that helps to bridge the physical to digital is marketing mail, and marketing mail is kind of that critical connectivity, if you will, to some of those exciting promotions you talked about, but we're a little concerned about marketing mail these days. Anita: Right, in fact, we talked about this also on the last podcast, but there's been a development. We're talking about the federal register notice that kind of caught everybody by surprise and put everybody up in arms, so there was a clarification this week, right? Chris, do you want to tell everyone about that? Chris: Exactly. A clarification on what that federal registered notice was supposed to be about and in fact I. I also heard this when I was down in Dallas talking to our postal partners as well, that the federal registered notice when it was initially published was the result of what the postal service saw that some companies were using marketing mail as a means to fulfill actual products and so they were trying to curtail that by clarifying the purpose of marketing mail, as the name suggests, instead of being standard mail is really meant to advertise or connect and relate with either prospects or current customers. It's not meant to be a vehicle to get a substantially discounted price fulfilling physical product. And unfortunately the way it was worded really ended up coming across and in the completely wrong way. And so the postal service did, you'll publish a clarification on that and, and I don't know if that really went all the way that, what the industry wanted. I mean, initially we wanted it fully rescinded and taken off of the table in totality, but my understanding, again, talking to our postal partners is that they've gotten really good feedback and so, um, they would like to keep that Federal Register notice commentary period still open until October 22nd, giving enough time for feedback from the industry on exactly how we're using marketing mail and why it's so critical with what we're doing. So they're gonna keep the Federal Register notice out there. But um, but what they did try to, you know, explain the purpose of it. Anita: Right. And they did say that they would seek the necessary approvals from the Board of Governors and from the postal regulatory commission before they proceed. But, you know, I have to say, I don't think it went far enough. I think the last sentence in the federal register clarification said that if the postal service does decide to make content changes, the earliest they would be implemented would be in calendar year 2020. And you know, somebody mentioned on an industry called that if I read that I might be thinking, well, do I want to get out of the mail before 2020, like kick the can, I don't think that it really made everyone at ease about this whole change. Chris: I agree. And I kinda shared that with, you know, like at our postal partners this week in Dallas. And so I think next week when we're at at MTAC we're going to hear a lot more about this and hopefully the industry and the Postal Service together helps to perhaps calm down the industry. I actually so much potential with marketing mail in the promotions really underscore that. So, you know, we need to leverage that because the millennials, as we talked about before, they do value the mail and we need to be able to reach out to those millennials and as well as keeping up with their moves. Anita: Right. Hey Chris, there's something I wanted to ask you about because I always turn to you when it comes to addressing any subject regarding address. But there was a report by the OIG that referred to putting more controls into the change of address process. Have you read that report? Chris: I have, absolutely. And it's a great report. It's kind of a continuance of a spotlight on address quality that the Office of the Inspector General did a couple of years ago. And so here's an update. It's a relatively smaller document, but it is about an audit report, the change of address, identity verification, internal controls. And we're probably going to hear more about this next week at MTAC as well as the address change service billing. I expect Jim Wilson from the National Customer Support Center at the postal service is going to be there next week at MTAC to talk about ecs. But this OIG report more specifically talks about how can the postal service put a little bit more security controls in place for change of addresses. And as a reminder to our listeners in fiscal year 2017, there were 36.8 million change of address that were filed, a 36.8 million, which honestly Anita is a little bit down from what it had been in prior years. Chris: And again, yeah, that actually reflects, you know, sort of what we had talked about before with suspected millennials not filing a in a timely or if at all basis with the postal service. But what, what's important to understand is out of 36.8 million COAs that were filed, 20.6 million of these change of addresses were filed as hard copy requests. So still a lot of paper despite having the Internet change of addresses, most people are filing these hard copy requests and when I say most people, I do mean individuals. 96% of all the change of address as filed in fiscal year 2017. We're residential. Okay. So it's families and it's individuals. Exactly. And so you know, as, as you would kind of expect, it's mostly people that are on the move. We're a very mobile nation now when you've got physical hardcopy change of addresses, it's important to understand that we don't have the same type of controls that other postal authorities have. What I mean by that is that if I file a change of address online, the postal service will do a verification. They'll charge me a dollar on a credit card, I have to submit a credit card and then they're going to charge $1. But. But the purpose of the dollar is really just to verify that I am who I say I am. Okay. And a lot of other postal entities that are doing things like that. But it's the hard copy change of addresses. And as reminder, that's the predominant way that people file a change of address. There really isn't a lot of strict controls on that and this is what the, the Office of the Inspector General is talking about. They would like to see, and this is the recommendation that the postal service require a government issued identifier to be able to verify when I fill out my hard copy, change of address and submit it at a local office and retail office or something like that, that I am who I say I am now on the surface I think that makes a lot of sense, Anita, and again, it mirrors what we're seeing on global, on a global scale with the other postal authorities. But, you know, here in the United States asking somebody to show their government issued id to a, another government entity sometimes doesn't get the best response. And of course I'm talking about things like, you know, a voting and elections and things like that. And so particularly this time of year so it's interesting on the recommendation from the OIG relative to that. But I think it is important that we look for ways for the postal service to verify the identity of the individuals that are filing these change of addresses, whether it be online or physical. And in this OIG report talks about that in since January of 2016, 25,000 change of address complaints were filed with the postal service that ultimately were handed over to the u s postal inspection service. So, you know, just in, in uh, in 20 and it's kind of getting worse based on the numbers. So let me kind of break it down again. In calendar year 2016, there were 8,900 suspicious change of address filings that were sent over to the postal inspection service in 2017. That number grew to 11,000. Okay. So it's going up and here in 2018 for just the first three months of 2018. And this is all while the, the Office of the Inspector General is putting this report together in just the first three months of this year. 5,000 fraudulent change of addresses. Anita: So identity theft is the key thing to here. Anita: Oh I was hoping you were going to tell this story. Chris: This is crazy… Somebody changed, or filed a change of address for UPS that the actual, you know, UPS company from its headquarters in Atlanta, Georgia to some apartment in Chicago. I understand. And so bags and bags of mail were getting delivered to the lobby of this apartment complex. Anita: It took months before it was caught. Chris: It did, it did. And it's really embarrassing. Yeah. And maybe that was it. Maybe that was part of the impetus for this particular report from the OIG, but, you know, but the bottom line here, folks is I think that we have an opportunity as an industry and the postal service together to really underscore to direct marketers and, really the nation that, that US postal service, it's a trusted entity and for those of us on the industry side that leveraged the postal service for communication, we're doing it responsibly. We're leveraging the data responsibly. We're doing responsible direct marketing. So if there's a way that we can curtail these bad change of addresses with the Office of the Inspector General suggestions, I think it's worth looking into. Anita: I agree. So how about if we close it out and talk about next week? It's going to be very busy for the both of us. Chris: Next week is going to be very busy. We've got PRINT 18 kicking off in Chicago, that's a big print show, a lot of activity there. And certainly workflow automation is going to be a big topic. I think marketing mail again, and promotions and advertising and working with the postal services is going to be key. And then certainly MTAC we go right from the PRINT 18 show to the Mailers' Technical Advisory Committee meetings in Washington DC. I'm sure we're going to hear a lot about that federal register notice. We're going to hear a lot about promotions and 2019 Board of Governors and certainly on the ACS invoicing. So for those of you that are using address change service with the postal service, continue to look at your invoices to make sure that they're correct. Anita: So we'll have a lot to talk about on the next podcast. Chris: Absolutely. All right. Well thank you Anita. I appreciate all the information. Chris: Okay, and to our listeners, thanks for listening today and continue to stay tuned to the latest going on visit bccsoftware.com or give us a call. We'd like to know how can we help.